Home Business Icelandic Intrigue! By Wessco. 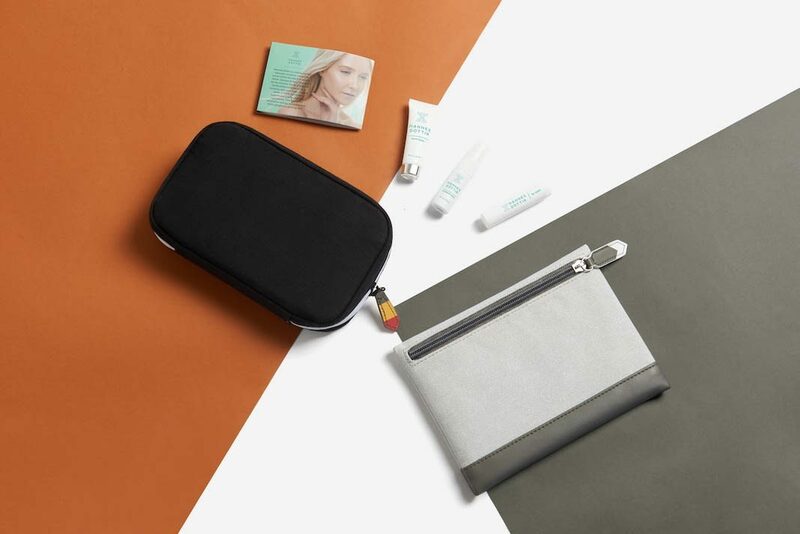 Icelandair personify their homeland’s beauty with an ode to Icelandic wildlife with their stunning and sentimental amenity kits in both thought and design! Iceland is known for its unparalled and breath-taking beauty. Its captivating natural wonders, including the Aurora Borealis, the Golden Circle and the Blue Lagoon, draw travellers from far and wide intrigued to see such splendours in person. But for those flying Icelandair, this journey of discovery starts long before touch down. In an ode to its country’s beauty, Icelandair has always been committed to capturing Iceland’s spirit, naming its aircraft after local volcanoes and natural phenomena. 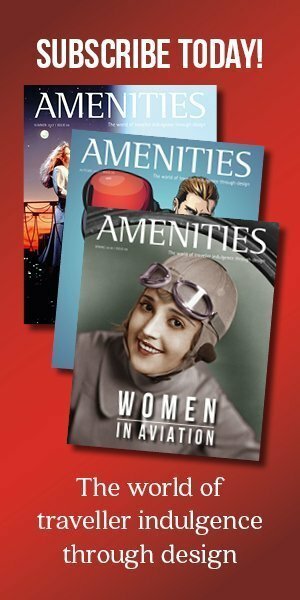 Over the years the airline’s onboard offerings, most notably their amenity kits, have also celebrated Icelandic nature and cosmetics made from Iceland’s natural resources. 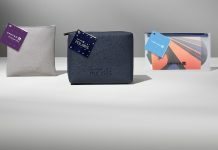 Now, this April, Icelandair celebrates its wonderful Icelandic wildlife with four new eco-friendly amenity kits that honour Iceland’s unique natural inhabitants working closely with WESSCO International and skincare company Hannes Dóttir. The collection draws inspiration from animals woven into the nation’s folklore, namely the puffin, arctic fox, Icelandic horse and raven. Having visited Iceland specifically for the partnership, the design team at WESSCO studied different facets of the country’s flora and fauna to better understand Icelandic wildlife. This resulted in the team proposing a collection based on each animal’s unique qualities showcased through shapes and colors reflecting their power and grace. Issued to Saga Premium passengers on all flights between Keflavík and North America, the 2019 launch celebrates the puffin and the arctic fox. The puffin-inspired pouch is instantly recognizable by its orangey-red and grey-coloured zipper puller. 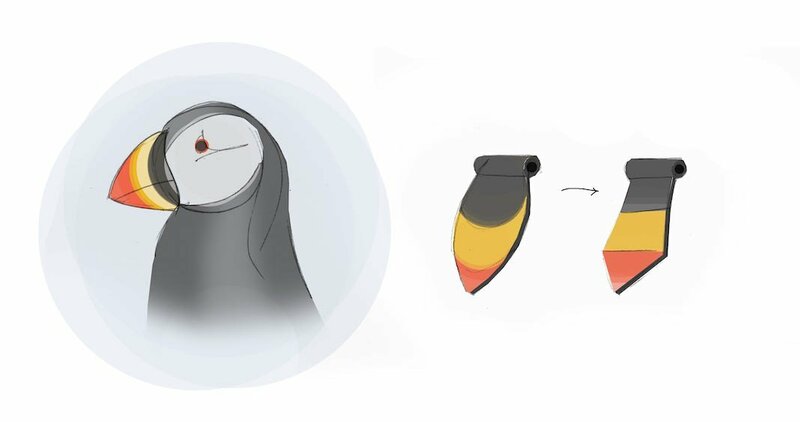 The designers adapted the bird’s famous curved beak form into a functional angular shape. 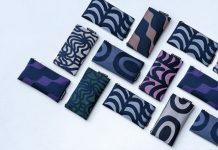 The arctic fox-inspired pouch comes in two two-tone colour options as a reference to the animal changing the colour of its coat as seasons change. It consists of a slender body and a fox-tail-inspired puller symbolizing the arctic fox’s elegance and energy. To follow in 2020, Icelandair will launch the next two designs celebrating the Icelandic horse and the Icelandic raven. The Icelandic horse-inspired pouch features an arched top resembling the horse’s back and a zipper puller representing its tail. The pouch’s sturdy core and soft edges reflect the Icelandic horse’s unique power and form. The Icelandic raven-inspired pouch portrays the bird’s uniform dark colour and power. This resonates through its austere core, soft edges, and wing-shaped zipper puller. Icelandair has respect for nature at its heart, and the airline continuously works towards becoming a more environmentally friendly company. From efforts to reduce emissions, decrease plastic onboard, and optimize the use of recyclable material, Icelandair sets itself ambitious environmental goals. Along with celebrating these beautiful animals, Icelandair and WESSCO were determined to protect the animals’ environment, sourcing ways to produce the kits in an eco-friendly fashion. Thanks to this commitment to nature, each purse is made from a combination of eco-friendly and sustainable materials including recycled canvas, vegan leather, and felt made from recycled plastic bottles.The toothbrush is made from cornstarch-based biodegradable material. The socks are made from recycled material.Plastic use is minimal, with content wrappings made from paper. Inside passengers are treated to their essential amenities, fun educational facts about each Icelandic animal and skincare products from Hannes Dóttir, a family-owned skincare company created in honor of the founder’s Icelandic father, Hannes Arthur. Powered by the volcanic fjords of Iceland, Hannes handcrafted formulas work in harmony with the body and are made of 100% nutrition supplement and food-grade ingredients. 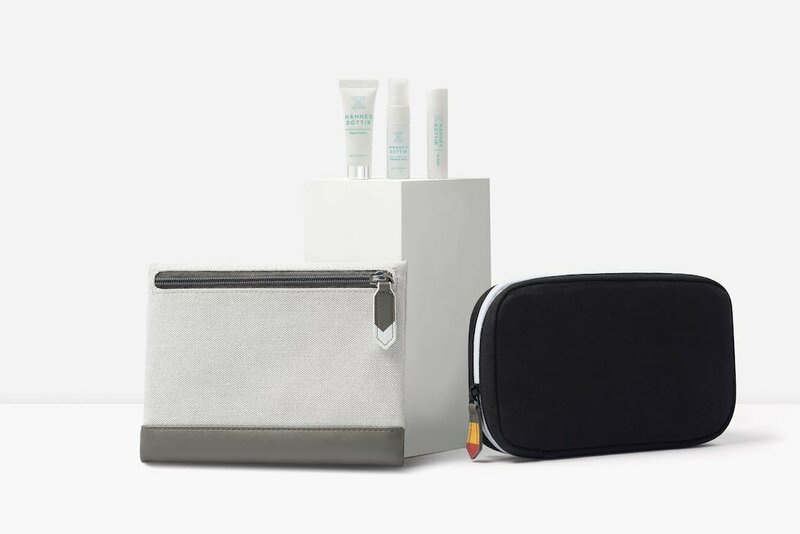 Passengers are spoilt with a lip balm, hand lotion and mineral mist and so can take home the restorative energy of Iceland and enjoy gorgeous, glowing skin. A true token of Icelandic beauty! 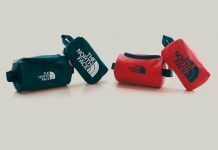 Previous articleFORMIA, introduces North Face kits onboard China Airlines. Next articleOman Air Launches New Kids Kits with Milk Jnr’s and Kidworks!